Football is by far the most loved sport in the world. Statistically speaking, it is the sport with the most teams worldwide and, on an even bigger note; it is the sport with the most fans worldwide. I am a fan of soccer myself and, from personal experience, can say that it is incredibly hard to wake up early enough to watch the games. But with so many teams out there, how should a fan follow a team that is potentially on the other side of the world? Social media is that key. Not only are teams using social media to update their global fans instantaneously but they are, or should be, using it to compete with other teams as well. In fact, in the new digital age it is extremely important to connect with your fans constantly or the other team might just swoop in and acquisition your fan. 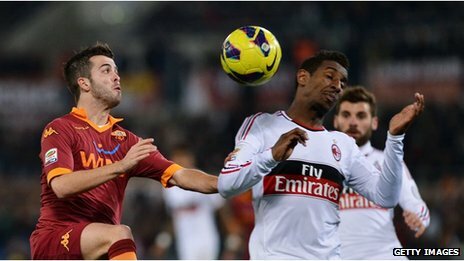 One team that has used social media to its fullest is a small Italian team called AS Roma. They have been incredibly preemptive with their use of Facebook likes and Twitter in order to capitialize on a large fan following. They wanted to go beyond the limits of their hometown and stretch their brand awareness worldwide. And boy, they have done an amazing job! They have gone from having no social media two years ago to an increasingly successful digital media strategy today.